Your South Carolina adventure starts here. This annual, three-day event held in Greenville’s up and coming downtown area gives you the opportunity to meet exhibit artists and purchase their original works of art. 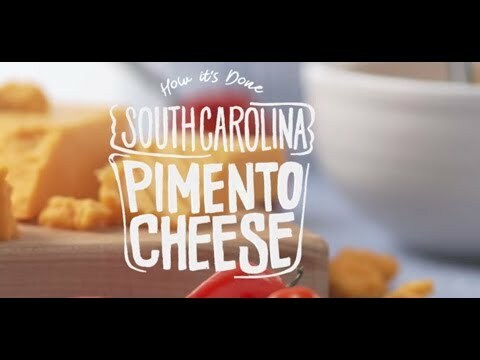 Sharp cheddar cheese, freshly diced pimentos and mayonnaise are all the ingredients needed to make this Southern delicacy. Experience the unhurried lifestyle and warm hospitality of these classic small Southern towns. Plan a summer family trip to Fripp Island Golf & Beach Resort. This coastal South Carolina gem offers vacation rentals perfect for large families, with resort amenities such as golf courses, tennis courts, pools and restaurants on site. From the majestic Swan Lake Iris Gardens to the famously gorgeous Brookgreen Gardens, discover why these South Carolina gardens a must-see for anyone visiting the Palmetto State. Experience fresh seafood and timeless traditions set against the awe-inspiring scenery of South Carolina’s coast. Find out how some of the Palmetto State’s top chefs got started in the culinary industry and how they stay inspired and motivated in the kitchen today. If you're searching for a one-of-a-kind South Carolina adventure, look no further than the Treehouses on Edisto River. South Carolina is home to many exciting outdoor adventures—from riding professionally designed dirt bike trails to ziplining across the beautiful Catawba River. 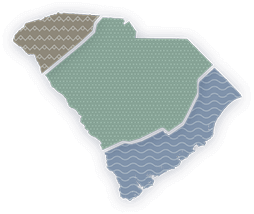 Discover some of the unique experiences waiting for you and start planning your trip to the Palmetto state today. Thrill seekers will love soaring across the calm waters of the Catawba River on a three-hour guided adventure.